He's got no hair but we don't care, walking in a Hartson wonderland.' That famous song was belted out 110 times around Celtic Park as big bad John became one of a select band of players to score a century of goals in the Hoops. Now in his typical no-holds-barred style, the former Arsenal and Wales striker tackles the mission of naming his best ever Celtic eleven.? 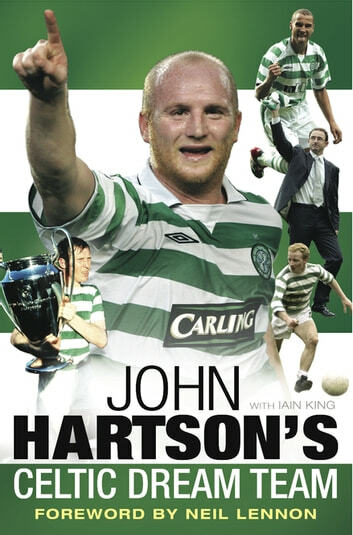 Along with new anecdotes from his time at Celtic Park under Martin O'Neill and alongside legendary team-mates such as Henrik Larsson and Chris Sutton, John Hartson's Celtic Dream Team discusses the best Celtic has on offer from the illustrious greats of the past right through to the modern era. They all have a chance of being in Hartson's starting eleven - but who will earn the right to play? This is his list of legends, chosen by a player who fought back from the brink of death and won his battle with cancer and a place in the hearts of millions. Full of humour, stories and football wisdom, this is a book no Celtic fan should miss. And find out what Celtic manager Neil Lennon thinks of his former team-mate's choices . . .